If you’ve ever worked with someone who always finds a solution to a problem, no matter how challenging, then you may well work with shentongroup’s October Colleague of the Month. As part of shentongroup’s drive towards service excellence and because we recognise that it is our team members who make us the strength we are within the continuous power sector, each month shentongroup staff nominate their Colleague of the Month. Some of the many positive comments put forward by our October Colleague of the Month’s fellow workers include: “He is always helpful”; “Always has a positive attitude”; “Great chap to work with” and he was also nominated for “Always being happy and helpful’; “For supporting, not only the service team, but also the CHP team when needed”; and because “He is awesome”. 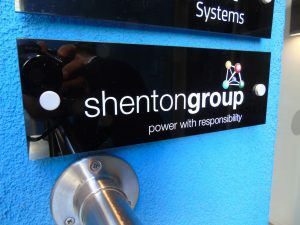 The man in question is David Tuffin, shentongroup Technical Support Manager. Thank you and congratulations, David. 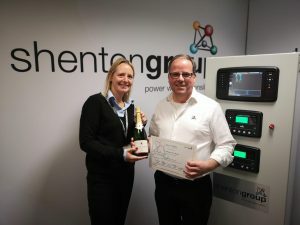 As well as the gratitude and admiration of his fellow workers, David also receives vouchers, a bottle of bubbly and sole usage of the shentongroup Colleague of the Month parking space, right here at Shenton House, Andover. To discuss your continuous power options with a member of the UK’s leading technical experts in Standby Power, Uninterruptible Power Supplies and Combined Heat & Power Systems, click here.